Stud earrings are an essential part of any woman’s wardrobe. Simple and timeless, this accessory adds a little flair to any look without being distracting. They look right at home in an office or at a formal event, and they suit just about every fashion trend and style. Round faces benefit from a narrow cut to elongate their face. Consider an emerald cut stone for these earrings. Narrow faces need something to add a little volume to their look. Try round diamond studs, and add a halo for extra sparkle! Square faces look best when their earrings feature rounded angles, emphasizing the angles of their own face. Asscher or cushion cut stones will be your best bet. Heart-shaped faces need earrings that emphasize that naturally unique face shape. Consider pear-shaped studs to highlight that beautiful bone structure. 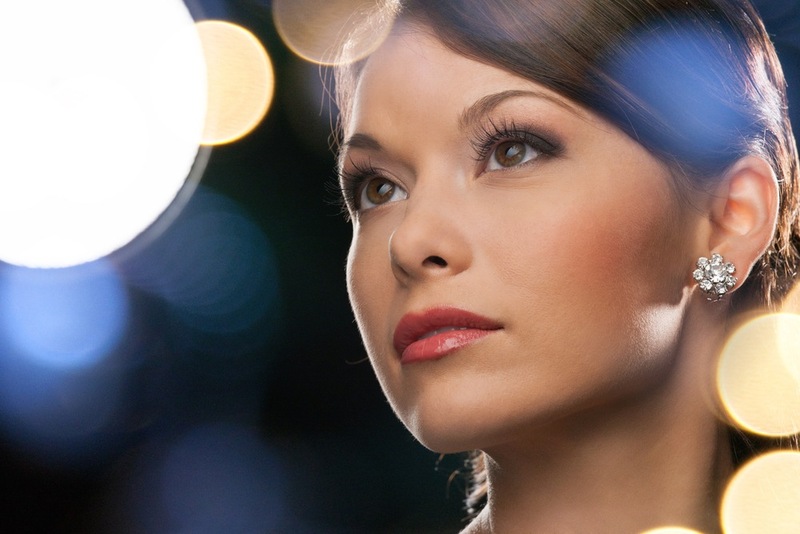 Diamond-shaped faces also need jewelry that highlights their natural shape. Consider princess cut stones (worn crooked to mirror that diamond shape) for these individuals. Oval faces look stunning in just about every shape of stud earring. However, consider triangle-shaped stones to really bring out their lovely cheekbones. When you’re buying stud earrings, a woman’s bone structure is another important thing to consider. Someone who has a very delicate bone structure (think Natalie Portman or Meryl Streep) will look best in earrings with a smaller carat size and a simpler, flatter style. A more pronounced bone structure (like Teri Hatcher) needs larger, heftier earrings – something small would disappear when she smiles! Finally, if you’re buying for someone who has a fuller bone structure (like Oprah), earrings with a larger carat size and significant weight will be your best bet. When you’re looking for the right sized stone for your earring, remember that studs should be proportional to the person’s earlobe. Earlobes are either attached or unattached, and while these differences may seem minor, they make a big difference in the types of stud earrings that look best with a person’s face. 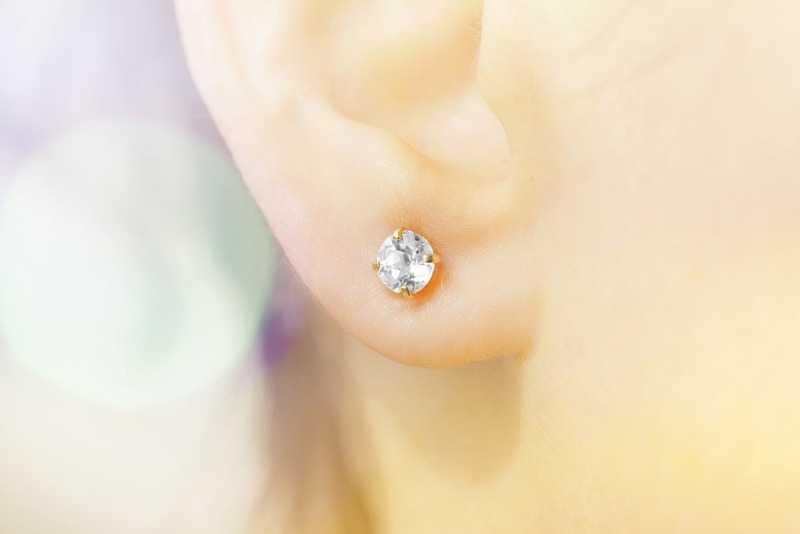 For example, attached earlobes tend to be smaller, with less space available for an earring to sit. This means that you’ll want to get smaller earrings in a simpler style. Unattached earlobes tend to be larger, so you can start experimenting with different styles and embellishments. Just make sure that the earring’s not so big that it hangs below her earlobe. You may be wondering why hairstyles even come into consideration. After all, no one’s hair is the same every day. Obviously, people change their hair from day to day, but most people have a go-to style that they rock most of the time. That is the style you’ll want to consider when buying stud earrings for women. Does the lady you’re buying for sport a simple pixie cut? 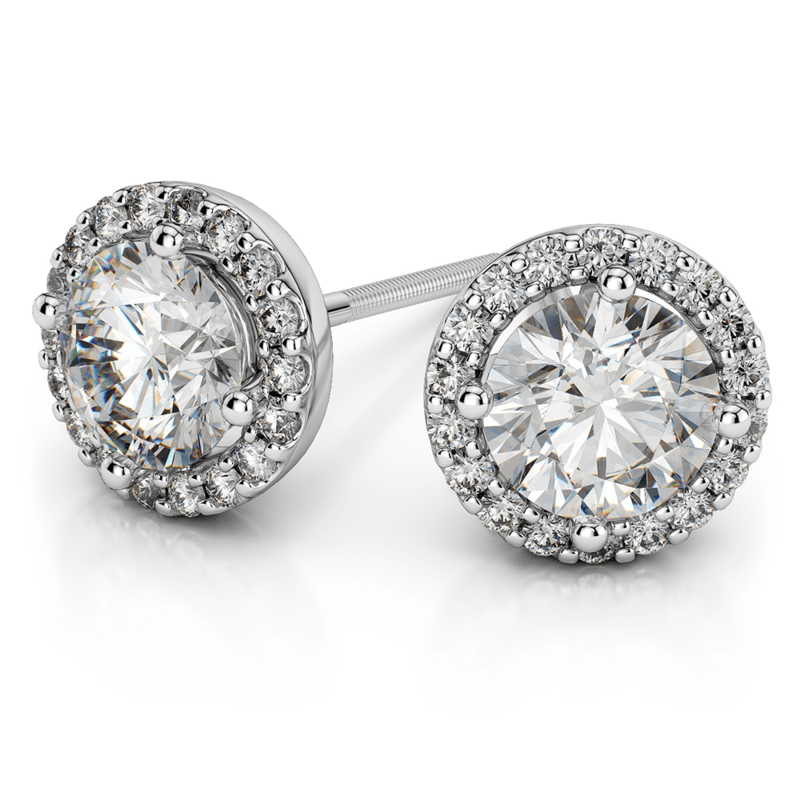 Buy her a pair of understated, simple studs with a round or square cut diamond. The stones will catch the light whenever she laughs or turns her head, dazzling everyone who sees them. But if the woman in question has long, full locks, you might want to look for larger diamond studs or elongated shapes—maybe with a halo. The extra sparkle will help the earrings stand out behind her hair. Start browsing the earring selection here at Brilliance, where we have earrings for all shapes, sizes, and budgets! If you keep these things in mind as you shop around, you’re bound to find a pair of stud earrings that will suit her perfectly! Not only will she look amazing, but the uniqueness of the gift and how well it fits her face will show just how much you care.